A number of groups, including Safety NL, the Rovers Search and Rescue, the RCMP and RNC, teamed up to promote best practices when using ATVs and snowmobiles this winter. It's not something to be proud of but when it comes to riding off-road, Newfoundland and Labrador has the highest fatality rate of all four Atlantic provinces — more than 60 people have died in ATV and snowmobile incidents since 2012. It's a number that doesn't sit well with groups trying to educate the public to focus on safety when heading off-road. "It is frustrating because when there are incidents, we realize that some of these could be easily prevented," Safety NL's president and CEO Len LeRiche said. "What we want to do is try and get the information out about the risk involved in the activity, to consider that and take the necessary precautions." That led to the the first event of it's kind in St. John's, which aimed to show riders what to keep in mind when heading out into the great wide open on an off-road vehicle. "We recognize there are areas where I think people can better understand the equipment, the conditions and the weather to be safer," LeRiche said. LeRiche's group does what it can to educate the public, but on Sunday at the Rotary Sunshine Camp Chalet, it literally put safety on display. 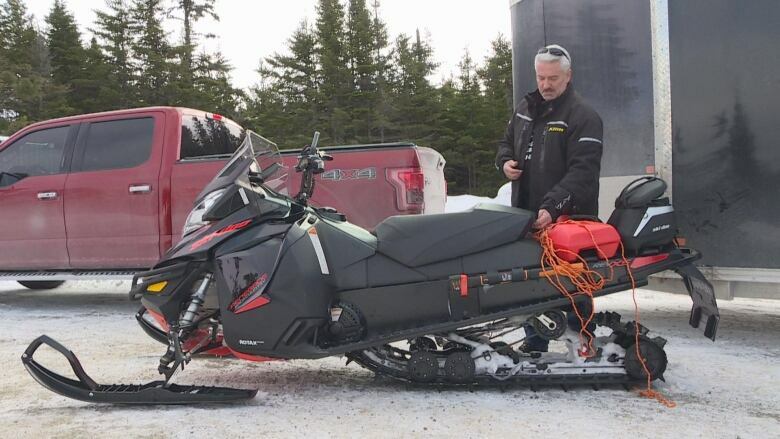 Darren Dunphy, a chief instructor at Safety NL for motorcycle, ATV and snowmobile safety training, was on hand showing off what he said needs to be with you on every ride. His list includes proper boots, gloves, protective vest and even ice picks if something goes wrong on the ice. "We have a lot of ponds, rivers and lakes," he said. "It's never a bad idea to have a flotation jacket. It will not go down below the water." At the top of his list is a helmet. "You don't leave home without your helmet," Dunphy said. 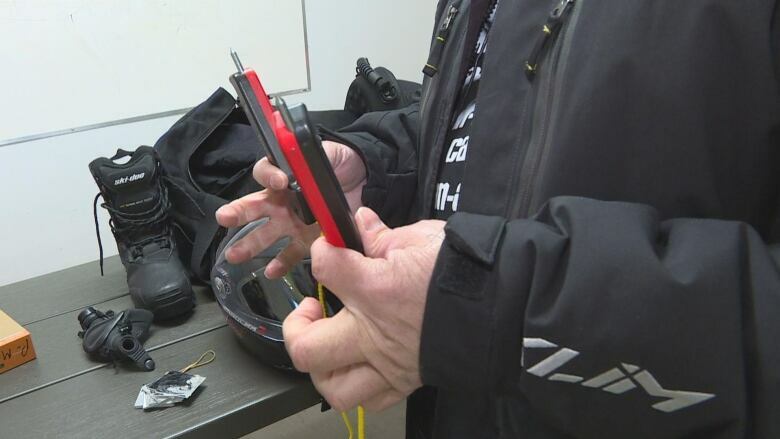 Under the province's Motorized Snow Vehicle and All-Terrain Vehicles Act, helmets are not mandatory when riding a snowmobile; while the act is being reviewed, the lack of a law causes Dunphy serious concerns. "It's perfectly legal for you to jump on a machine and go down the trail at 100 miles an hour with a stocking cap on," he said. In a province where there are more registered vehicles than people, it's easy to find someone out about in the winter riding around on a snowmobile or an ATV. If they get lost it's often the volunteers of the Rovers Search and Rescue who head out looking for you. "It's very important to plan for your trip, know what to bring and to know what to do in case of an emergency," Rover Rick Smith said. He had a table full of things people should consider taking before heading out into the woods; communication device, matches, a small tarp, compass and multi-purpose shovel among them. The most important thing is to file a trip plan and let someone know where you are going, what your doing and when you'll be back. "I think [the attitude towards safety] it is improving," Smith said. "I certainly do think we have a long way to go. I think we are a population that really feels that 'it can't happen to me.' It's one of the things that we certainly do see when we do rescue people."